In order to raise money for the studio’s reconstruction fund, EAST OF THE WALL is releasing a demo of a track scheduled for the group's yet-to-be-recorded upcoming album, which will be released later this year via Translation Loss Records. The track, titled “I'm Always Fighting Drago,” is the first to feature EAST OF THE WALL’s revamped lineup, which still includes drummer Seth Rheam, guitarist/vocalist Matt Lupo, and guitarist/vocalist Chris Alfano, yet sees new guitarist Ray Suhy and guitarist/vocalist Greg Kuter filling the holes left by departing members Brett Bamberger (bass/vocals) and Kevin Conway (guitar/vocals). Those interested in helping Translator Audio can purchase the digital single in lossless audio from Bandcamp for $3 (although those wishing to donate more can do so). 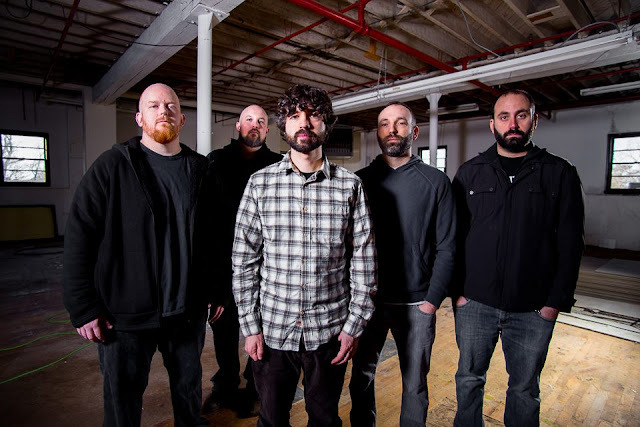 Included with the single for “I'm Always Fighting Drago” is an acoustic/vocal cover of "Century Of Excellence," a song from EAST OF THE WALL's first album, Farmer's Almanac, performed by Larry Chiswick (Vehicle For Blackness, ex-All Parallels). Stream “I'm Always Fighting Drago” and purchase/donate to Translator Audio via MetalSucks RIGHT HERE.